Fingersoft, known for their Hill Climb Racing mobile game and cooperation with different game companies, has established a game campus block in The Capital of Northern Scandinavia Oulu city center, at Aleksanterinkatu 4-6. 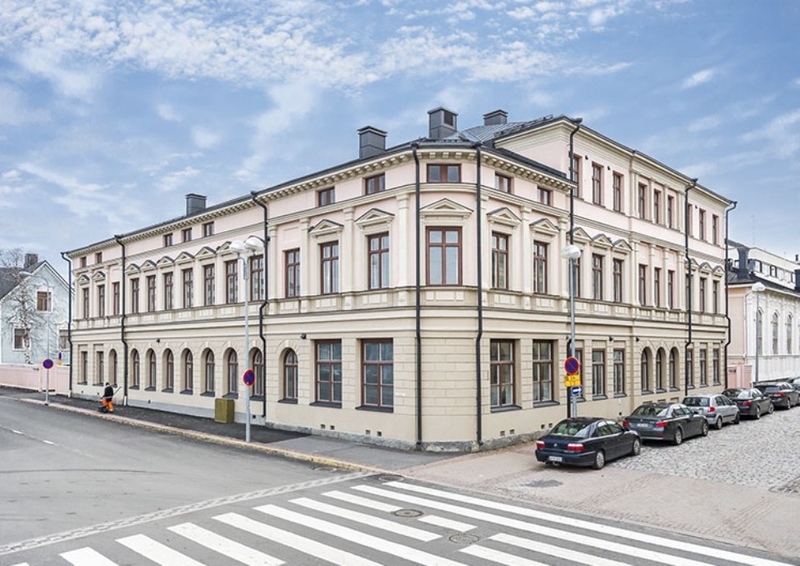 Formerly belonging to the architectural guild, the premises were transferred to Fingersoft and Rakennusteho Group Oy last October. In what is globally a unique solution, and with private equity, an agile hub of game companies was born in the center of a city of technology. “The city block’s valued buildings began a new life as an internationally significant game industry center. We create life and buzz to an area, an open café, game industry education, and other auxiliary services, e.g. a gym, cafe and an accounting office in addition to remarkable meeting and sauna premises. The block will be the nesting and home ground of several Oulu-based game companies”, Fingersoft’s CEO Teemu Närhi says. The history of the city block reaches a long way into history, as these cultural heritage buildings date back to the 19th century. “Our partner, Rakennusteho, renovated the dream premises for us in the city center, where everything you might need comes in one package – from an auditorium to a recording studio”, Närhi says. “The recession can only be tackled with new, bold ideas. We believe Fingersoft’s game campus to be a remarkable mile stone for the city development akin to the foundation of Oulu Technology Park over 30 years ago”, Rakennusteho’s CEO Jaakko Moilanen says. “Our priority is that game companies can focus on their projects and jobs as well as possible”, Moilanen adds. In practice this means that Startups have a place where they can both work and network with established companies. Additionally, all contacts from recruitment to publishing and funding are all available in the same place. According to Fingersoft, cooperation with BusinessOulu, Finnvera, Tekes, etc., is imporant, so the functions of the game campus are as smooth as possible and developers can focus on their games. Oulu Game Lab moved to Oulu Game Campus in Summer 2016 with companies following close behind by the end of 2016.